Brumby Awards Winner:Heritage Song of the Year: "Montevideo Maru 1942." Australian Songwriters Association National Songwriting Awards Top 10: Australian section for "Best Friend 'round The Block." 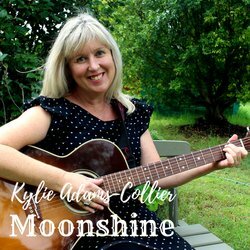 Tamworth Songwriters Salute Awards finalist for Best Bluegrass Song: "Moonshine"
Tamworth Songwriters Salute Awards finalist for Best Heritage Song: "Montevideo Maru 1942"
Tamworth Songwriters Salute Awards Finalist for "Waiting For Heaven to Rain" For Gospel Song of The Year. John P Toomey Songwriting Award finalist for "Goodbye Dear Tamworth"
Tamworth Capitol Country Music Association finalist for "Pacific Highway". Tamworth Capitol Country Music Association finalist for "Wallpaper Horses."